Carrefour is set to be the hypermarket operator in Abu Dhabi’s upcoming $1bn (Dhs 3.67bn) Reem Mall, retailer Majid Al Futtaim has announced. Slated to open in 2018, the two million square foot Reem Mall will include 450 stores including 85 food and beverage outlets. The mall will also house the world’s largest indoor snow-play park and a 125,000 sq ft indoor amusement space. Developers are currently said to be in discussion with a number of retailers and will be making further announcements on the progress of the mall over the next few months. 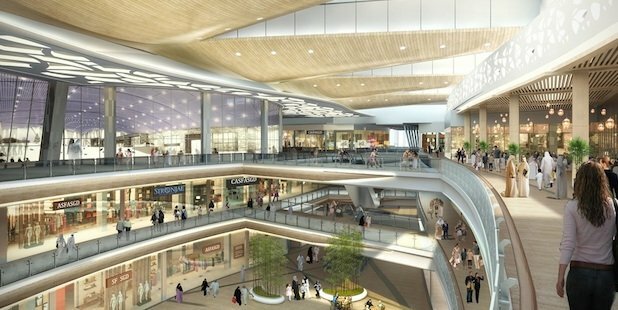 “As one of the region’s most developed retail markets, Abu Dhabi presents a very attractive investment opportunity, and the Carrefour hypermarket in the upcoming Reem Mall development will further cement our presence in the region,” said executive regional director of Majid Al Futtaim Retail Miguel Povedano. Operated by the Majid Al Futtaim Retail group, Carrefour was introduced in the MENA region in 1995. Since then it has opened over 19 hypermarkets and 24 express supermarkets across the United Arab Emirates. Reem Mall chief operating officer Shane Eldstrom added that Carrefour “will play an integral role in forming Reem Mall’s unique retail offering”. “The announcement marks an important milestone for the project, as we enter into the next phase of development and start to form partnerships with future tenants,” he said. Located on Al Reem Island, Reem Mall is being developed by two Kuwaiti real estate companies – the National Real Estate Company and United Projects for Aviation Services Company. The massive Al Reem Island project will have 11 new private schools, six kindergarten centres, a Paris Sorbonne University, three new private hospitals, a number of clinics, nine mosques, civil defence and police facilities, a major transit hub and nearly 500,000 square metres of park and open space when ready. It is projected to house a population of 210,000 in the future.